Probably you have already seen the clip from the Daily Show a few days ago regarding the feigned outrage at FOX “news” regarding President Obama saluting a Marine with a coffee cup in his hand. But it is just so brilliant I have to link you to it in a minute just in case you missed it. Watching cable news is probably an unhealthy addiction I have, especially as FOX tends to disgust me in its coverage while MSNBC has irritated me more and more over the years as they have become more and more FOX’s polar opposite. Many there are more liberal cheerleader than journalist. They have a slogan “lean forward.” and call themselves “progressives” and often act as if one who questions their thinking is regressive. As you might guess, I have gravitated to watching CNN more than the other two simply because they irritate me least. But as irritated as I sometimes get with MSNBC, they do not prompt disgust like FOX does, though I hadn’t clarified exactly why until Jon Stewart made the picture crystal clear the other night. It is the phoniness at FOX that gets me beginning with the claim to be “fair and balanced” in their coverage. Hah! In the clip you are about to see, Stewart shows how phony Fox news people can be when appearing outraged. The folks at MSNBC at least seem honestly angry. They are biased but not shills like so many at FOX. In the desire of FOX management to fault President Obama for as much as they can, their puppet news people seem scripted with talking points. The other day one of the points must have been: Hammer Obama for showing disrespect to the troops by saluting a Marine with a coffee cup in his hand. But enough of my reactions. 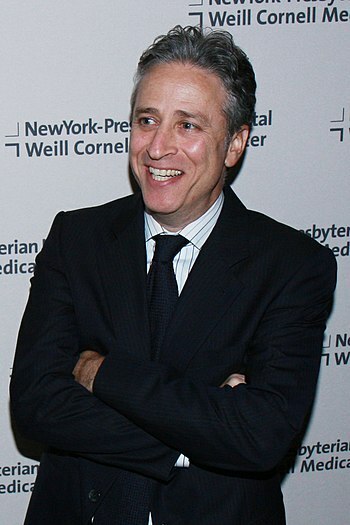 Enjoy the brilliant Mr. Stewart pop some phony wind bags at FOX via this connection through the the Daily Kos. I was beginning to think of President Obama’s vision of a large coalition of countries to fight ISIS as the Coalition of the Loitering, but more and more nations have stepped up and made public commitments of one form or another. For example, the British parliament is about to vote as to their commitment and my guess is it will pass. Perhaps most significant was the involvement of five predominantly Sunni Arab states in bombing raids against ISIS in recent days, significant because ISIS is composed of radical Sunnis and, given the general schism between Shia and Sunni in the region, it is noteworthy when members of either sect publicly go against “their own”, so to speak. The fact that nobody thinks of ISIS as their own opens up a new dynamic. But I agree with commentators who remind us that the United States is likely more committed to destroying ISIS than are our Mid-East Arab allies, who have a tendency of playing both ends against the middle guided by their own priorities not ours. Once ISIS is degraded significantly and fear of them is reduced, who knows which Arab nations will still be there for the long haul? For example, Saudi Arabia has a large military, but this has been developed primarily out of the fear of possible conflicts with Iran and now a Shia dominated Iraq. They want to save their ground troops if needed against Shia. That is an underlying fear that may take precedent again once ISIS is weakened. On the other hand, the Iraqi Shias probably wouldn’t welcome Sunni Saudi Arabian troops on their soil, even if there to fight ISIS. This is but one small example of the gargantuan complexity of this situation. And in thinking about this complexity, I think of Bashar Al-Assad, who remains dictator of a good chunk of Syria and how he seems to be benefiting from all of this. I am generally sympathetic to President Obama when it comes to foreign policy as I believe he inherited an unraveling international order, especially in the Greater Middle East (*1). Other presidents have faced huge problems, but the path forward for each seemed clearer than the various dilemmas Obama is facing. Having said that, I think Obama’s biggest foreign policy mistake was when he insisted that Bashar Al-Assad had to go early in the Syrian civil war. In doing so he miscalculated the international support for that to happen, while also underestimating Russia’s (Putin’s) determination for it not to happen. Also, in trying to gather international support and sounding so adamant about the removal of Assad, he encouraged rebels to believe they would get more support than they did. In short, though I don’t feel happy about saying this, the world may have been better off allowing Assad to brutally put down the resistance as his ancestors had so successfully done. Far fewer would have died or been displaced. The more I think about the Middle East, the more it seems that the choice is usually between dictators who govern brutally and lands that become ungovernable. I will write more about that in a future post. Of course, that goes against both our humanitarian and democratic values and Obama was likely pumped up by the success of toppling Ghadafi in Algeria months before, but I think there is no question he overreached and in the process set up the present dilemma in finding an end game to wipe out ISIS. By painting Assad as evil incarnate, he made it impossible to deal with him as a political partner, even against a force even more evil. 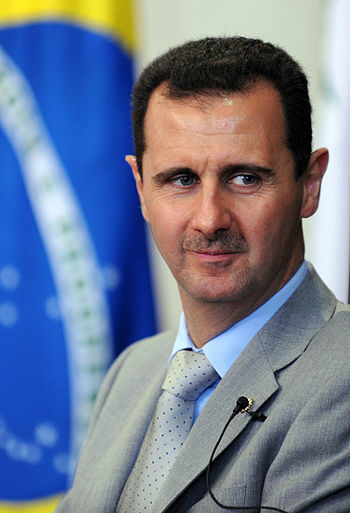 Right now as ISIS in Syria is weakened by our bombings, Assad’s hand becomes stronger. While he might complain about a lack of coordination of American air strikes, his air defenses do nothing to prevent them. The more we degrade ISIS the better for him. As I type, I imagine him doing a happy dance. Also, the belated dubious plan to train 5,000 Syrian moderates includes the notion that once trained in Saudi Arabia they will return somewhere in Syria to fight ISIS, more good news for Assad, assuming it works that way. Critics of the plan suggest those fighters are more likely to turn their guns back on Assad, their primary enemy, but who knows? Also, these well trained fighters will not return for maybe 18 months or so, and by then who knows what strength their counterparts remaining in Syria will still have? Will they even have a place to come back to? All of this suggests to me that if we really want to crush ISIS in the end, we will have to make some sort of deal with Assad. Most commentators assert that this situation cannot be decided militarily alone. It requires a political solution. At this point, I see no political solution in Syria that does not include Assad. And no end to ISIS without one. I know it is a tough pill to swallow Mr. President, but think about it. It may boil down to a choice between the lesser of two evils. (*1) The Greater Middle East is a term concocted during the G. W. Bush presidency to cover an expansive region stretching roughly from Morocco to Pakistan, which at times seems more useful in discussing upheaval in the Muslim world than the traditional notion of the Middle East stretching from Egypt to Iran. Wikipedia offers more details and a map. At War with ISIS a Week Later: What the Hell’s Going On? That this is not exactly a war in that we are not sending in combat troops as we did in Iraq, but it’s more than a counter insurgency effort like in Yemen because the ISIL threat is much bigger. Amazingly, in what seems a matter of months, ISIL has gathered a large, well trained, well financed army of fanatics whose intention is to create a new Arab empire, and they are off to a good start. No matter what our past failures in the area, this is a danger that cannot be allowed to go unchecked, so while the Obama plan to degrade and destroy ISIL seems chancy, I cannot conceive of a better alternative. Whatever flaws the Obama plan has, the key thing in its favor is ISIL’s capacity for making enemies out of just about everyone. They have been too viciously sectarian, even for Al Qaeda, which champions a more inclusive pan Muslim extremism. As unspecified as the many national commitments to help fight ISIL are (at least publicly), including those from the 10 Arab countries whose representatives met in Saudi Arabia last week, each promising “to do its share”, the weight of these combined efforts once coordinated (an admittedly mind-boggling task which is why this work will take many months) would seem likely to degrade ISIL to the point of containment in Syria. How to destroy them totally is impossible to predict as long as they can maintain their ground in Syria, where any future is impossible to predict given the shattered nature of that nation and the numerous armed factions battling each other with the aid of external backers. A particularly dicey part of the Obama strategy is the plan to equip and train 5,000 “moderate” Syrians (under the general rubric of the Free Syrian Army) for a year in Saudi Arabia then return them to fight ISIL in Syria, this at a price tag of $500,000,000. This amounts to a cost of $100,000 per trainee. Will there even be a spot in Syria for them to return to in a year and where will their true loyalties lie? As Republican Senator John McCain told General Dempsey, head of the joint chiefs of staff at a recent hearing, what is to keep these trainees from directing their attack on the Assad regime, their main enemy, rather than ISIL? Dempsey’s response boiled down to his having confidence they won’t, not all that convincing. Democratic Senator Joe Manchin shares McCain’s doubts that this element of the plan will work and perhaps even worse, will draw us deeply into the Syrian chaos, so today he will vote against the plan when brought up in the Senate. It has already passed the House, by a big bi-partisan margin, albeit not an enthusiastic one. The primary concern of the politicians up for reelection seems to be to get back to their districts and campaign. So sure, give the President what he asks for so they can go home while not appearing unpatriotic. 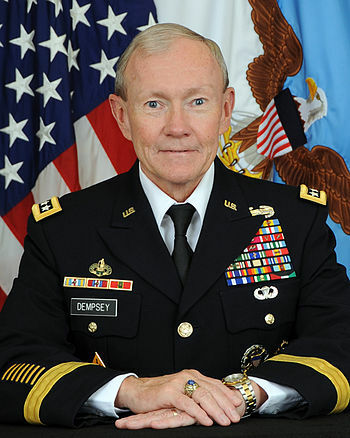 While I thought General Dempsey’s response to the criticism of this training plan weak, I liked his overall performance in that he did not beat around the bush in answering questions, in contrast to Defense Secretary Chuck Hagel who sat next to him at the hearing. When asked to spell out the goal of this campaign he said it was to “destroy ISIL in Iraq and to disrupt them in Syria.” DISRUPT THEM IN SYRIA! Not destroy them in Syria. This seems to me the most accurate statement of what we are about and can hope for. Syria figures to remain chaotic for years to come, and if ISIL retreats there who will know what to do with them at that point? Certainly not send in American troops to wipe them out and leave us with another nation to rebuild. By the way, Robert Gates, the former Secretary of Defense under both Bush II. and Obama I. voiced his opinion on a talk show last Sunday that we will not be successful in crushing ISIL without some of our combat troops playing a role. Dempsey left open the door for a request for some combat troops if needed, and that door seems still ajar despite the president’s stated refusal to do so. Resisting putting many of our combat troops into this effort is a good idea, for the more we do the less the nations in that area will feel the need to do and they are the ones most threatened. At least seemingly so. Do note though that much changed in the American attitude towards this conflict after two Americans were beheaded, flipping resistance to bombing to support of it. We must all be aware that ISIL and Al Qaeda must be hungering to attack us at home or more Americans abroad. Al Qaeda might be more dangerous as they have lost ground internationally to their terrorist rival and would undoubtedly love to show them up. God forbid either successfully strikes us in a dramatic fashion, but if so public opinion supporting the return of American combat troops to the Mid-East struggle might shift dramatically as well. And with that, the president’s stance. You probably have heard that Janay Rice attacked the media for basically making her life a living hell in an Instagram post Tuesday. She professed love for her husband and anger at being robbed of their livelihood in Ray’s being cut from the Raven’s football team and suspended from the league indefinitely. Since Janay is the real victim in this case, TV commentators are careful not to be critical in their reactions to her statement. Instead they hand the ball off to specialists in spousal abuse who basically say she is living in denial, as is commonly the case. They say this gently, with understanding, sometimes talking of having been abused themselves while being in a state of denial. However, in taking that position based on general information not the specifics of Janay and Ray’s life, I think they are abusing her further. They are saying honey, I’m sorry but your opinion doesn’t count. You have basically lost your sense of self and we are here to help restore it. Then you’ll see things more clearly. But after the media frenzy moves on to another outrage, Janay will be left with the stigma of a demonized husband who is out of work while those who claim to be sympathetic towards her will move on to the next media event that helps promote their cause or causes. In saying this I am not defending Ray Rice. He committed assault and should have been given a real penalty in a New Jersey court when tried last May rather than a slap on the wrist. One could say if he had been stiffly punished then, Janay would have suffered as well. But her marriage and life would not have been reduced by television to blood in the water for all who have a cause to promote or an image to protect. I don’t like the collective self-righteousness and self-serving reactions of his football team and the NFL and every women’s group that wants to turn Janay’s being abused into a cause celebre whether she wants it or not. I can imagine having egg on my face at some point. Maybe some months or years down the line Janay will announce that she is separating from Ray, that she had been continuously, secretly abused while deluded by love and guilt just as the common story line goes. But here is my point for now. I have tried but not found any stories about previous domestic abuse between Ray and Janay. Of course, it is possible it has been kept hidden, and stories might come out, but why haven’t any come out yet? Certainly there is no lack of news people looking for that scoop. Is it not also possible that this was a unique moment of vicious eruption for reasons we cannot fathom. Maybe it is the rare exception to a general rule, but aren’t we being a little too quick to judge the soul of this man? What if all of these people who act like they know more about Janay’s situation than she does really don’t? For now, I am simply saying with respect for Janay we give them more space, stop playing that elevator video over and over again leaving the impression that Ray is an irredeemable brute who should have no chance to taint the ranks of the pristine NFL ever again. The morning I heard that the Ravens organization apologized for their handling of the Rice situation and the NFL commissioner Roger Goodell has as well and well they should. However, having been too lax in confronting the situation before they now are trying to appease their critics by giving him a stiffer punishment than the policy they revised after the outcry that they did too little to punish Ray, a mere two game suspension. With that change, the present policy is a six game suspension for the first incidence of domestic violence and then suspension for at least a year if there is a second, with no promise of reinstatement. Rice was cut by his team and is facing an indefinite suspension. How does that fit the guideline, other than the league is willing to abridge its own rule to show they are truly sorry enough. Having been too soft on Ray Rice initially the league is being arbitrarily harsh now prompted by the visceral nature of that video. The NFL’s way of whitewashing its image sullied by its earlier missteps. The NFL wants to clean up its image and women’s groups want to parlay this moment of viciousness into a deeper awareness of domestic violence while promoting means to prevent and punish it. But as they pursue their own aims, whatever value they may have, Janay Rice keeps losing at every call. Leaving aside Isis, Putin and other budding calamities: Are you ready for some football? To talk about the NFL season kicking off tonight in Seattle along with the rise of ISIS and the ongoing Putin show must seem inappropriate, or at least jarring, but doesn’t it reflect our lives in general? Most of us live in small worlds of family and friends and jobs and personal ambitions and romantic fantasies and pass times against the backdrop of a large world that most of us give only side long glances to. We might look longer if we felt we could really understand, but understanding our world seems harder and harder to do. Actually impossible, so why work hard at it? Ironic isn’t it? All of this information we humans have compiled over time and it winds up confusing, not enlightening. We have a vast catalog of facts at our disposal through the internet, but our ability to integrate it is not much advanced from monkeys pounding typewriters and accidentally forming a word. We might think we would have a chance to grab the gist of things if those who proffered the information did not so twist it through some ideology or another. As is, we have to delve into too much information, while tossing out most of it as tainted. Still, trying to make sense of things is a human habit as deeply ingrained as breathing and other bodily functions, so here are a few off hand stabs at making a little sense of a couple of things. While Putin is skilful at making himself the center of attention with his bad boy antics – most recently pressing for a separate state being carved out of eastern Ukraine, he has no end game as far as I can see. While it has moved liked molasses in January, the European Union now seems to be willing to back sanctions that should hurt Russia’s economy badly. In the meantime, Putin will remain the center of attention but gradually Russians should feel a sharp economic pinch and realize what a loser he is. It boils down to this: The Russian economy is roughly two trillion a year – about the size of Italy’s – while the combined American and European economies are over 27 trillion a year, give or take a trillion or two. Because of the size of the difference, it would only take some agreement on key sanctions among the EU and ourselves to strangle the Russian economy. Economically, crushing Putin’s bravado is simply a matter of time. The ongoing antics of Putin the cunning, ruthless kid are slowly prompting the EU to apply serious sanctions, despite the fact those sanctions will hurt their economies as well. But at some point enough is enough, to most people if not Putin. To me, ISIS is the much greater danger because of their combination of religious zealotry with surprisingly effective organization and sophistication when it comes to using technology. All this supported by billions either grabbed or donated. Who knows when you might find them at an airport near you? I continue to find the rapidity of their success startling, but as good as they are tactically, their vicious zealotry, which to them seems a good recruiting tool, as with the two recent be-headings of Americans, is just what it will take to SHAKE UP US AND OTHERS enough to ban together to stamp them out. I often hear TV pundits talk about Americans being “war weary”. Really, what do most of us have to be weary about? What have most of us sacrificed during the many years of our troops fighting in Afghanistan and Iraq? We are tired of hearing bad news about the little our investment of life and treasure has wrought, but that is not really being war weary. That is just the reflection of a people who expect to have our own way with the world. Having done some volunteer work assisting our troops and their families, I would say those who have really sacrificed, these troops, these families and their friends, have high morale. They are believers in their sacrifices. I would say the rest of us aren’t war weary. We are world weary, weary of a world that is no longer our oyster as it has been throughout most of my 69 years. And weary of a national government too polarized to aid in turning the tide. So, now, are you ready for some football?